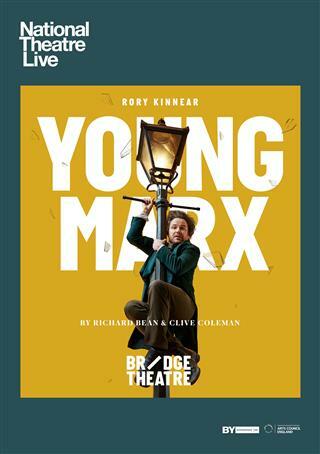 Rory Kinnear (The Threepenny Opera, Penny Dreadful, Othello) is Marx and Oliver Chris (Twelfth Night, Green Wing) is Engels, in this new comedy written by Richard Bean and Clive Coleman. Broadcast live from The Bridge Theatre, London, the production is directed by Nicholas Hytner and reunites the creative team behind Broadway and West End hit comedy One Man, Two Guvnors. 1850, and Europe’s most feared terrorist is hiding in Dean Street, Soho. Broke, restless and horny, the thirty-two-year-old revolutionary is a frothing combination of intellectual brilliance, invective, satiric wit, and child-like emotional illiteracy. Creditors, spies, rival revolutionary factions and prospective seducers of his beautiful wife all circle like vultures. His writing blocked, his marriage dying, his friend Engels in despair at his wasted genius, his only hope is a job on the railway. But there’s still no one in the capital who can show you a better night on the piss than Karl Heinrich Marx.